Club Dynamite is a leading Gymnastics Club, in Mansfield (Brisbane, QLD), offering high quality gymnastics classes to young people from 3 years of age right through to International standard gymnasts. Our Vision is to ignite the spark in young people, developing their coordination, agility, balance, flexibility, strength, perseverance, determination, courage, focus and confidence. Our mission is to offer high quality gymnastics classes, teaching excellence in a positive, exciting and engaging environment. Programs are available to cater to all levels of ability from absolute beginners to elite level gymnasts. We offer both recreational classes, for those looking for a fun class to develop their skill, and competitive programs with our nationally renowned competition teams. Check the Classes Page for the full range of programs available. Come and see what we do CLICK HERE to book your trial class. In July 2018 we moved to a brand new, State of the art gymnastics venue, just 1 minute from our previous location! We are now located at 56 Secam Street, Mansfield. Our new venue is more than twice the size of our previous location, allowing us to provide 1st class gymnastics facilities! Thank you to everyone who participated in our 2018 Showcase! The show was held in the great hall at the Brisbane Convention & Exhibition Centre, our gymnasts all performed to a crowd of 2400 people! We are so proud of all the gymnasts and coaches for putting on such an amazing, professional and entertaining show! Our 2019 Showcase will also be held in the Great hall at the Brisbane Convention & Exhibition Centre on Friday November 8th. All classes continue as normal during school holidays. MAG Stands for Men's Artistic Gymnastics and is the major Olympic Gymsport for boys and men. in MAG boys train and compete on 6 apparatus - Floor, Pommel Horse, Rings, Vault, Parallel Bars and High Bar. Through MAG boys also learn dynamic tumbling skills and develop incredible agility and strength. At Club Dynamite we offer MAG training to boys from 5 years of age, working through the national levels program from level 1-10. Our boys participate in competitions at a local, regional and state level. Gymnastics For All is the most widely practiced gymsport in the world. GFA caters for gymnasts of all ability levels from absolute beginners to international standard athletes. Club Dynamite has been named the GFA 2016 Gymnastics QLD Club of the year for our success in this sport from a recreational through to highly competitive level. Gymnastics for all includes a variety of different types of gymnastics including Kindergym, Gymfun, Gymskills, Team Gym, Performance Gymnastics and so much more. Here are Club Dynamite we offer fun and exciting recreational gymnastics for all classes for girls and boys from 3 years of age to teens right through to competitive/elite GFA performance Teams. GFA caters for all levels from absolute beginners learning skills like handstands and cartwheels, through to elite level gymnasts doing amazing flips and twists. WAG stands for Women's Artistic Gymnastics and it is the major Olympic Gymsport for girls and women. 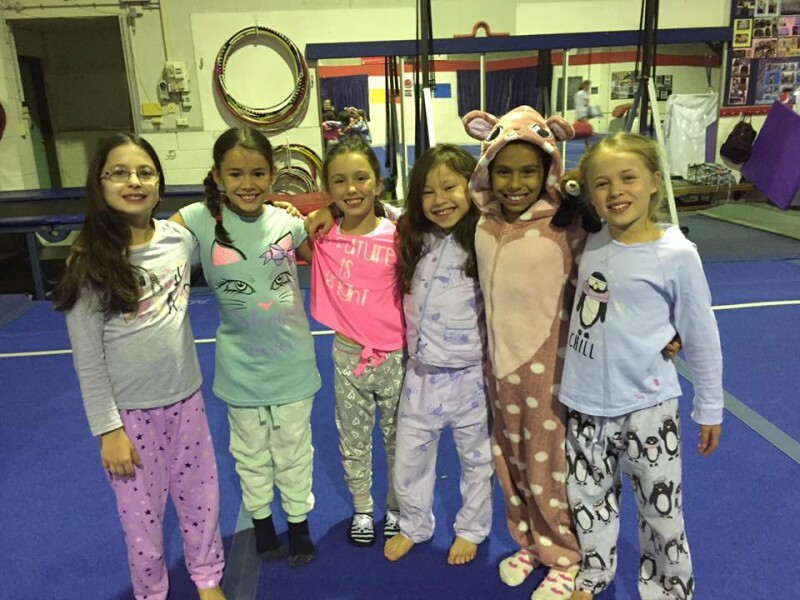 Gymnasts train on 4 apparatus - Floor Exercise, Balance Beam, Uneven Bars and Vault. Through WAG training gymnasts develop exciting tumbling skills, as well as incredible strength, flexibility and agility. At Club Dynamite we offer WAG classes for children from 5 years of age to young adults working through the Australian National Levels program from level 1-10 and Elite. Gymnasts can be selected for WAG once they complete their Gymstar certificate and can progress through the WAG program to the Advanced WAG program towards selection for our award winning performance and competition teams. 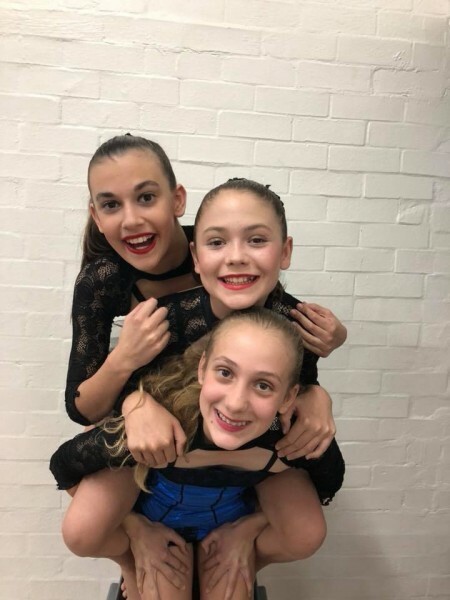 Congratulations to Olivia and Sofia for their outstanding results at the April Starbound entertainers festival competition on April 12th.